As a BRAND and TREND ANALYST Sandra Könings-Blokdijk clearly connects the dots between values, trends and product opportunities. She shares her insights as a CONSULTANT with many international operating companies. TRENDLOGIC works together with a professional network of CRE-ACTIVE freelancers working in different disciplines, from graphic designers to architects. Together as a team they realize all kinds of INSPIRATIONAL projects. This way, the consumer can make use of experiences specialists in the field of graphic design, organization and styling without the high cost of a design studio. 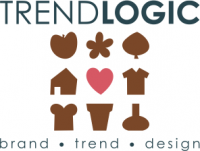 Do you want to EXPERIENCE what TRENDLOGIC can mean for your company? Or do you want to book Sandra Könings-Blokdijk for your CONFERENCE, SEMINAR, EVENT or BRAINSTORM? For more information about custom-made training, trend lecture or design advise, please CONTACT Sandra Könings-Blokdijk, TRENDLOGIC bv. 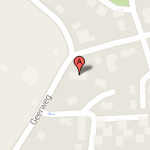 Lots of times Geerweg 1 in Benthuizen is used as a location for small workshops or as a beautiful photo location. For more information click here.